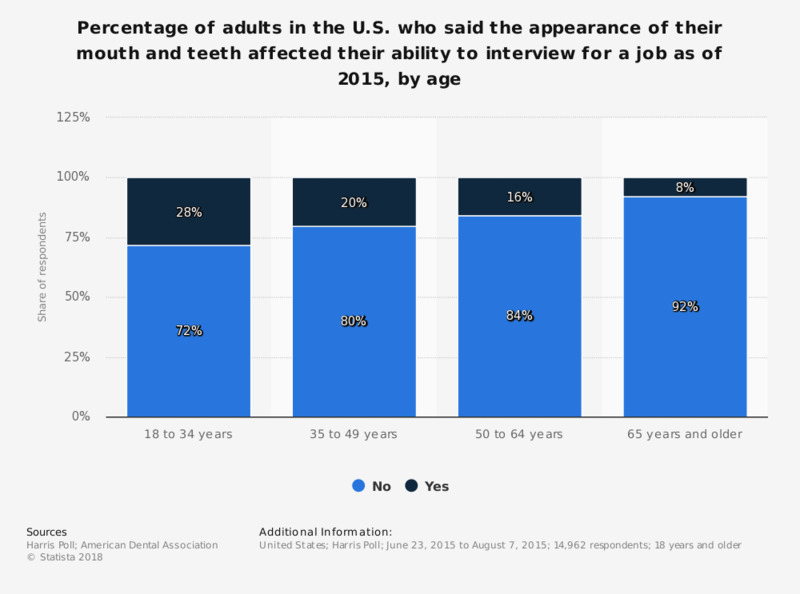 This statistic shows the percentage of adults in the U.S. who stated the appearance of their mouth and teeth affected their ability to interview for a job as of 2015, by age. It was found that 84 percent of those aged 50 to 64 years stated they did not feel the appearance of their mouth and teeth affected their ability to interview for a job, compared to 72 percent of those aged 18 to 34 years. Is your current job related to your studies?